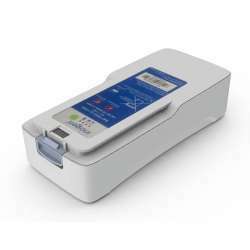 The revolution in oxygen therapy has come with the new Inogen One G4 oxygen concentrator. With the new Inogen One G4 concentrator you will be able to enjoy all the activities you propose without having to give up anything: taking a leisurely stroll down the street, going on a trip, accompanying the little ones to the park, etc. Vacations will not be a problem as the Inogen One G4 concentrator is authorized by the FAA and can be used inside the aircraft cabin. The bag that allows you to carry the concentrator hanging from your shoulder. The belt makes it possible for you to wear it at your waist, giving you more freedom of movement. Your pace of life will not prevent you from using the Inogen One G4 Oxygen Concentrator, which weighs only 1.27kg. 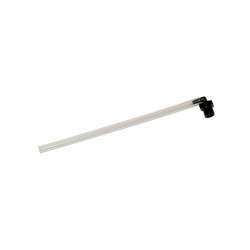 (with the single battery of up to 2.40 hours) and is the smallest on the market (15 cm. high x 6.8 cm. wide x 18.2 cm. long). You can go anywhere you want! This is possible because you can charge your battery both at home with the AC charger and in the car with the cable. 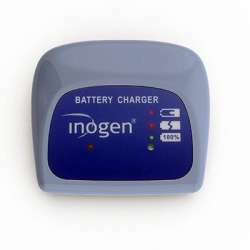 There are two types of batteries for the Inogen One G4 concentrator with a different life span: up to 5 or 2.40 hours. Setting 2 2 hours 15 min. 4 hours 30 min. Setting 3 1 hour 20 min. 2 hours 30 min. As with the entire range of Inogen concentrators, the oxygen supply is produced in pulse flow, also known as "on demand". This means that the device detects inspiration through the sensor and sends the oxygen bolus through the nose goggle. 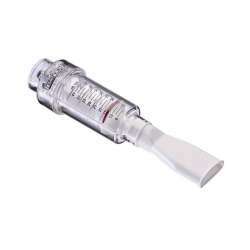 The Inogen One G4 concentrator provides up to setting 3 (equivalent to 3 liters per minute). In addition, it is ready to be used 24 hours a day, 365 days a year. 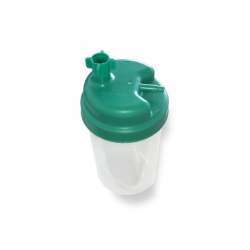 The Inogen One G4 concentrator requires minimal patient maintenance. It is only necessary to clean the external filters by removing any external agents such as dust. It must be well ventilated, avoiding covering it with blankets or covering the ventilation slots of the equipment. Heat sources such as radiators should be avoided or left in the vehicle. Do not smoke, whether it is the patient or the people around him/her. If the equipment will not be used for more than a week, it is advisable to remove the battery. It should always be worn with a nose goggle. 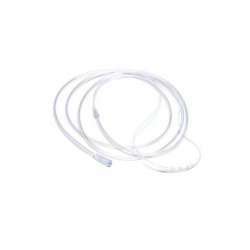 If an oxygen therapy mask is used, the effectiveness of the treatment will be lost. This is because the sensor would not detect the patient's inspiration as there is too much dead space. 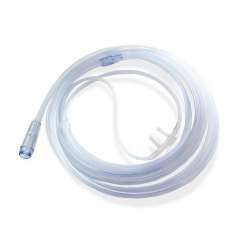 It is not recommended to add an oxygen extension as it may be necessary to increase the flow setting. Adjustment supply 1 to 3 (equivalent to 1 to 3 litres per minute). Weighs very little: 1.27 kg with the single battery up to 2.40 hours and 1.77 kg with the double battery up to 5 hours. The 3-hour battery weighs 400 grams and the 6-hour battery weighs 700 grams. Dimensions 15 cm. high x 6,8 cm. wide x 18,2 cm. long. 40 dBA noise (at setting 2). AC power supply 100-240V, 50-60Hz (automatic detection that allows worldwide use of the equipment). Power supply for vehicle use (13.5-15.5VDC, Max 10A, Voltage: 12.0 to 16.8 VDC). FAA approved for use inside the aircraft cabin. What's included in the Inogen One G4 concentrator. 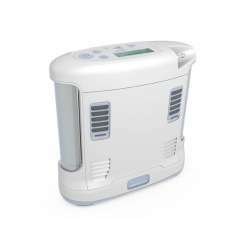 1 Inogen One G4 Oxygen Concentrator. 1 Battery to choose between single or double. 1 AC Alternating current transformer. 1 DC power cord for the vehicle. 1 Black carrying bag with long shoulder strap. The warranty period for the Inogen One G4 concentrator is 3 years for the device and 1 year for the accessories (battery, power and car charger, carrying bag and metal columns). 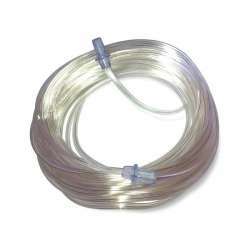 However, if any anomaly is detected both outside the equipment and in its operation, you can contact the Technical Homologated Service in Spain of TuTratamiento. Additional battery (choice of single up to 2.40 hours or double up to 5 hours).